RCO Cash for Cars is Staten Island’s number one car buying company paying top dollar for all types of vehicles including new, used, leased, financed, junk and collision vehicles. We get you same day cash for cars while eliminating the hassle of finding a private buyer for your car, truck or van! We pride ourselves as one of the highest rated car buying companies in all of New York! Sell your car, truck or van with and pay cash on spot. Get paid cash for junk vehicles in Staten Island. Our parts distribution network will also get you TOP dollar for newer wrecked cars! 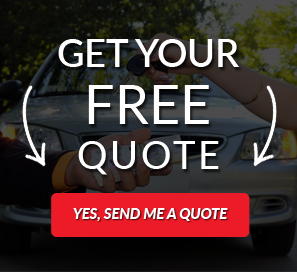 STATEN ISLAND residents love our services as we get you the most money offering free online quotes. Our service and expertise when getting customers cash for cars is unmatched by any other company! We also make arrangements to get customers home free of charge when selling your car to us! We are direct buyers of cars, trucks and vans! Why trade your car in for a new one when you can sell your car for cash to RCO Cash for Cars on Staten Island. In fact, many car leasing companies often use us to take in their trade in vehicles. RCO Cash for Cars wants your business. We have many repeat lifelong customers who refer friends and families to us for cash values on their vehicles. We eliminate all costs of advertising your car, while eliminating annoying calls from tire kickers. Some people may wonder where to sell my car for cash Staten Island but RCO makes it simple! If you need to sell used cars in Staten Island its not as easy as you think. Most buyers aren’t serious or look to waste your time. We make it easy! We buy trucks for cash, we buy cars for cash, we buy junk for cash, we buy crashed cars for cash. RCO is a top car buying company on Staten Island and is the best place to sell your car. We pay up to $100K for all types of new, used, leased, financed, junk and crashed cars. We take pride in paying CASH FOR CARS in minutes. All you have to do is fill our our ONLINE QUESTIONNAIRE or call us directly Toll Free at 888-589-1747 for a free no hassle obligation cash quote on how much your car may be worth. We make selling your vehicle in STATEN ISLAND NY easy! SELL YOUR CAR OR TRUCK FOR CASH FAST ON STATEN ISLAND NY! CHECK OUT REVIEWS FROM OUR CUSTOMERS! RCO BUYS FROM THESE STATEN ISLAND NEIGHBORHOODS!